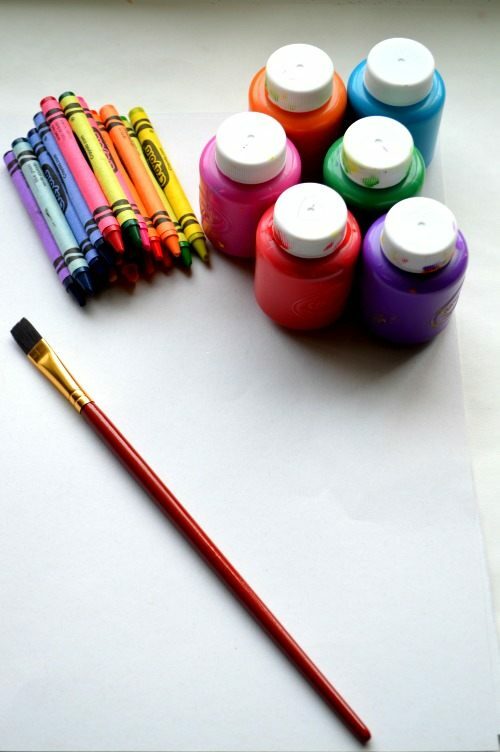 We are back with our second installment of our easy art projects for kids series we are doing with a bunch of our favorite bloggers. 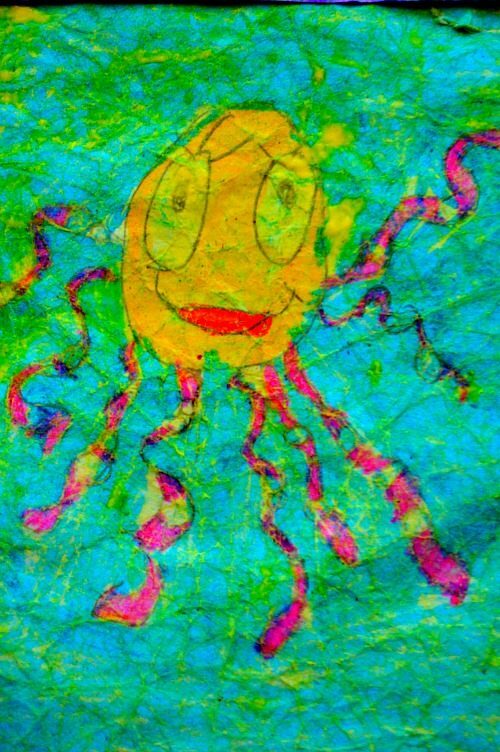 Don’t forget to check out their beautiful art activities for kids at the bottom of this post. 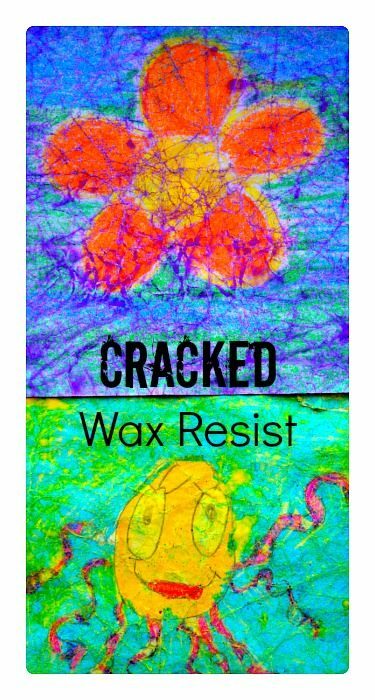 Resist art is really the most magical of all art activities for younger kids. 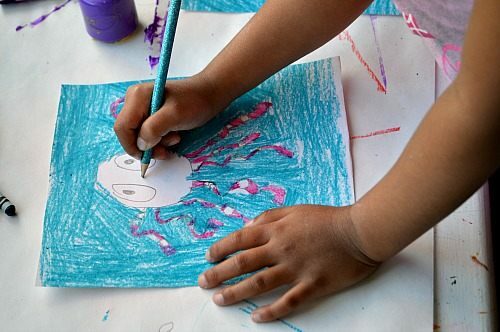 They are completely surprised by the resist factor of the entire activity and the very first time you do a particular resist art project with the kids, they will be enamored. 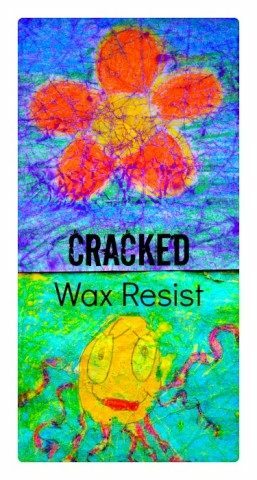 It happened when we did our super-ol activity , animal image resist painting and more recently, our crayon resist spider webs for Halloween. 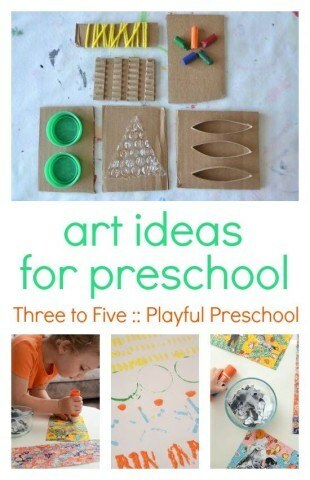 Ever since I encountered this art project I have been itching to try this out with my kids. 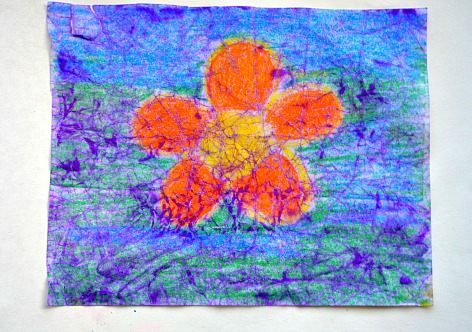 Now that my older is 5.5 years old, I thought this may be a good age to try some more “involved” art activity. Next step is kinda iffy in that some kids would love to do it and some would out right reject that idea and call you “insane” haha. Mine was not thrilled to crumple her beautiful octopus art. I made one picture myself and crumpled it and proceeded with the art project. She watched the way mine turned out and only THEN was she inclined to continue with the art project. 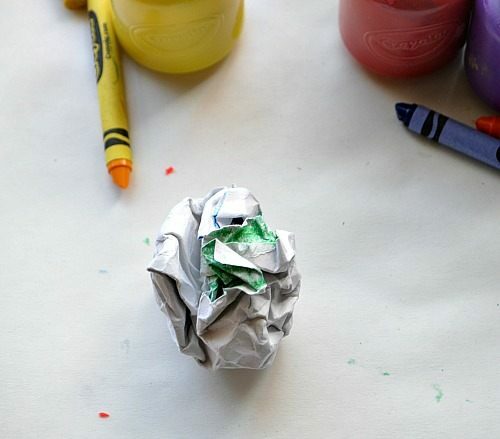 Crumple the paper then open and smoothen it again. Repeat the crumpling process at least 3 times. 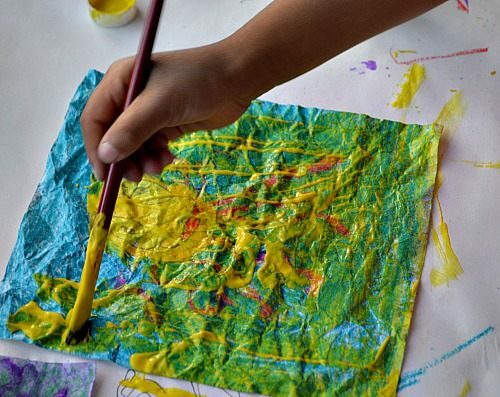 Once flattened, paint over with a nice vibrant colored kids paint. It is very important to choose a bright color during this step. My daughter really insisted on choosing yellow. 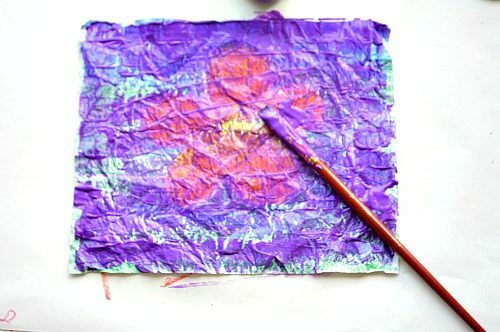 She enjoyed the process however if you want to get the true look of the cracked art, I’d go for purple..
Cover the entire paper with paint. Then, under a small stream of water from your sink faucet, wash off the paint! Yeah, such drastic steps right? Be careful to not wash off the entire paint. Wash until you are left with just paint seeped into the cracks and a very light shade of paint on the picture itself. Let the art dry and then admire them. Did you see the paint get into the cracks and kinda create a cool Batik design? The back of the art work is just as gorgeous. Alternatively, you can skip the kids paint and go for regular watercolor paints. With watercolor paints, you don’t have to “wash off” the paint.